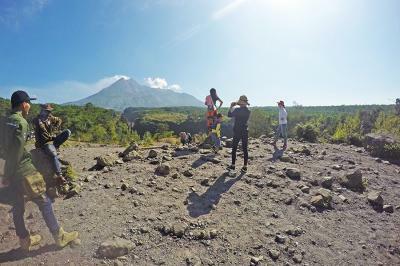 See the real and the most exotic side of Mount Merapi with Taking an off road jeep on a Merapi Lava tour area and watching the sunrise moments at the volcano then continue the trip to Pindul cave for Tubing activity that the one of the most things to do in Yogyakarta. This is the different way how to explore the wonders of nature. 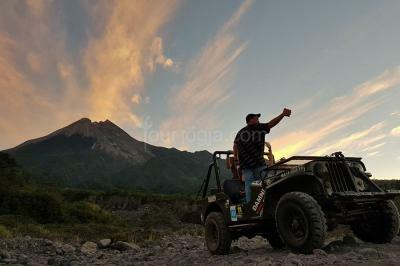 Experiencing an adventurous Merapi Jeep adventure to watching the sunrise moments with taking an off road jeep on a Merapi Lava tour area with 4WD legenday Jeep Willys. 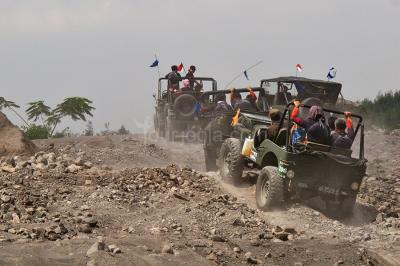 The trip past the former area of ​​extreme material lava from the Merapi Volcano. 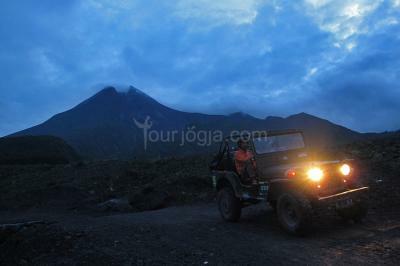 Point of interest : Dark Offroad - Sunrise Moments - Alien Rock - Bunker - Victim Merapi Eruption Museum - Merapi Volcano scenery. During the tour you will pass through several villages that were affected by the Merapi eruption. 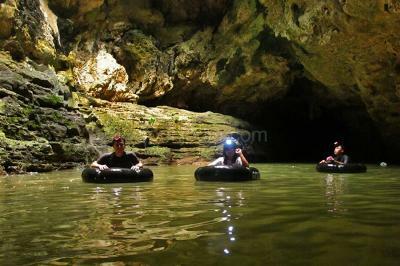 You will enjoy the trips by lay inside a set of tubes and following the drift of the underground river into the Pindul cave. 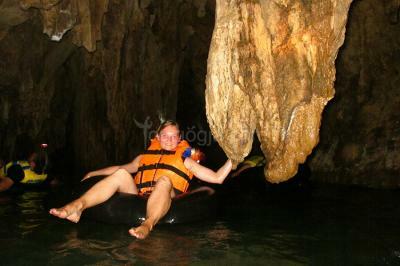 Played in unique cave with a cluster of bats and sparkling with the beauty of stalactite formations. 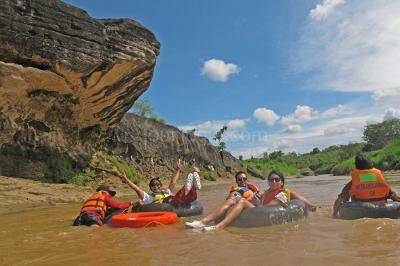 After finish Cave Tubing activity, then continue to Oya River Tubing activity (inclusive the package). 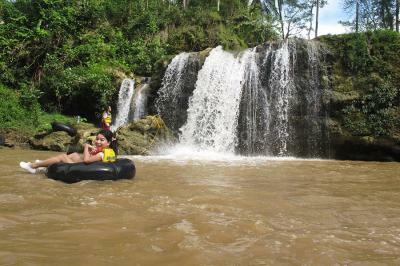 The Oya River Tubing trip will take you on a journey down the Oya River, along the way you will experience stunning with waterfalls, small rapids and optional cliff jumping.